Flash Harry is Northern Irelands mostenduring tribute band, celebrating the music of super star Freddie Mercury andsuper group Queen, for over 25 years. Flash Harry deliver a rock show thatwill have the audience rocking in their seats and singing along to anthems ofone of the greatest bands in history; featuring classics like "Radio GaGa", "We Are the Champions", to "Bohemian Rhapsody","Who Wants to Live Forever" and everything in between. The five piece band have playedeverywhere from the USA to Dubai as well as major venues in the UK and Irelandand continue to sell out venues wherever they go, recreating the magic of Queenfor audiences young and old. 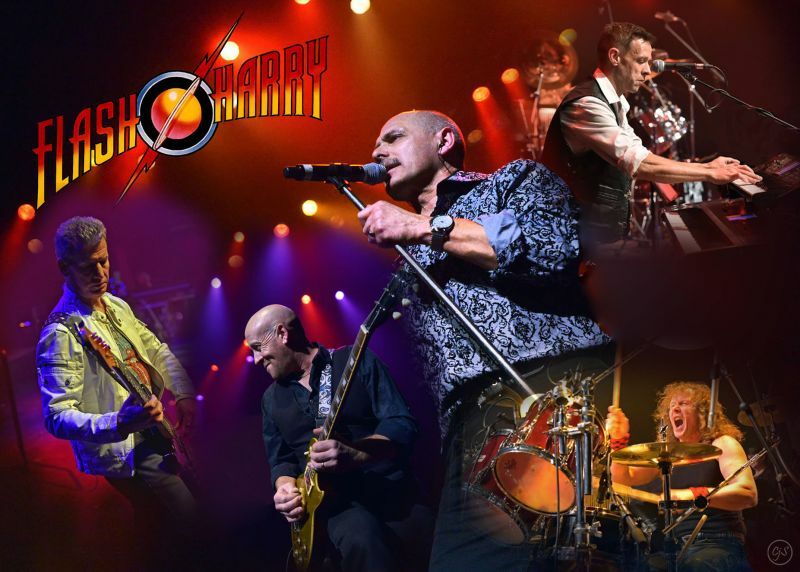 For a true celebration of the music ofQueen, Flash Harry are a band not to be missed. Tickets may not be exchanged or refunded. Any tickets remaining unclaimed 15 minutes prior to a performance may be sold. Latecomers are admitted at the Management’s discretion. All information about performances is accurate at the time of print. Some details may be subject to change. The use of cameras or recording equipment is strictly forbidden. The management reserves the right to alter or cancel performances without prior notice. The Management reserves the right to refuse admission, or to request that the ticket holder leave the premises and to take appropriate action to enforce such a request. In exceptional circumstances the Management reserves the right to provide alternative seats to those specified on the ticket. Children aged up to 2 years old who can sit on a parent/guardian’s knee do not require a ticket. However, children aged 3 years and over are required to have a ticket purchased for them. Unaccompanied children are admitted at the Management’s discretion. Where applicable, concession rates are identified as part of the ticket price for a show and are available to over 65's, under 18's, students, unwaged, and those who registered disabled. Simply select your ticket type when booking online to receive this discount. A proof of status will be required when collecting concession tickets. The Management reserves the right to alter prices, concessions, conditions of sale and seat allocation without notice. If in doubt please check with the Box office.